We offer the finest quality Deployment, Cruise and Campaign Plaques. 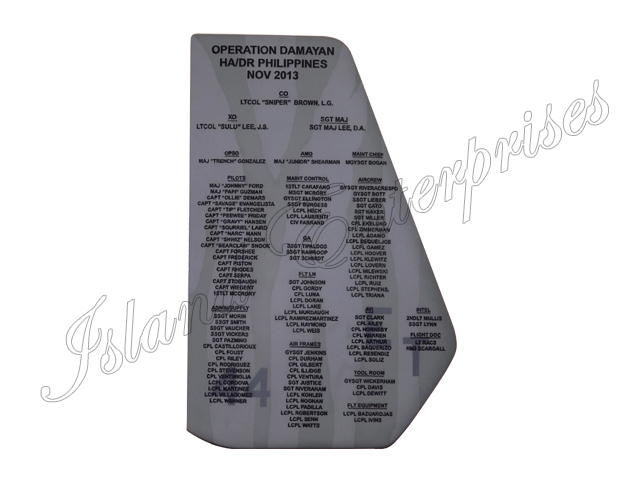 Our Deployment, Cruise and Campaign Plaques are available in all sizes and shapes. Send us your design and we'll start from there. Andremember, we offer a 100% money back guarantee if you are not totallysatisfied you’ve bought the best product available on the market!! !